Collaborative working, when facilitated by an experienced delivery manager, keeps the whole team focused on an agile delivery. Agilesphere delivery managers keep people focused on delivery by involving everyone in creating and updating plans and prioritised backlogs. Working together, and then keeping everything as visible as possible, helps ensure that the whole team stays completely focused on delivery. Regular retrospectives are important to ensure that the team continually improves their delivery approach. 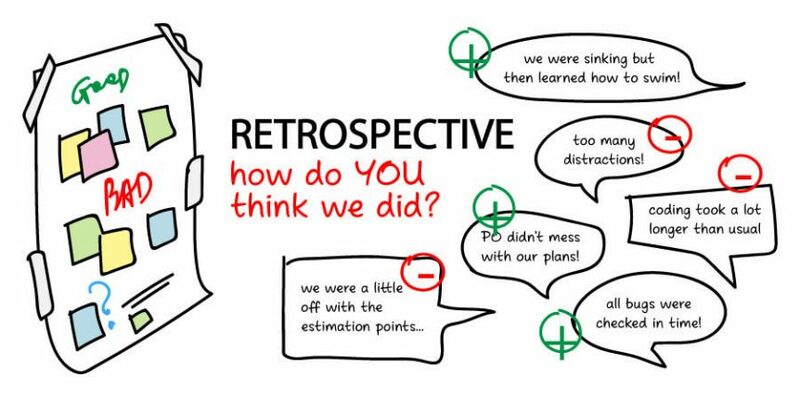 Retrospectives also help new team members feel included as quickly as possible and help surface any tensions so that they can be addressed before they become issues. Agile delivery: focusing on outcomes. Having a robust definition of “done” like this means the new user journey (or story) can go live as soon as the service manager decides that it should go live. This, to us, is the core of continuous delivery. The software should be able to go live at any point but only actually goes into production when the service manager is happy that all aspects of the service including the non-software parts, e.g. assisted digital, are ready. To this end, we encourage clients to also integrate business change into the delivery teams that look at the non-software aspects of a particular user journey (story) so that these can be delivered at the same time to ensure continuous delivery of the full service.